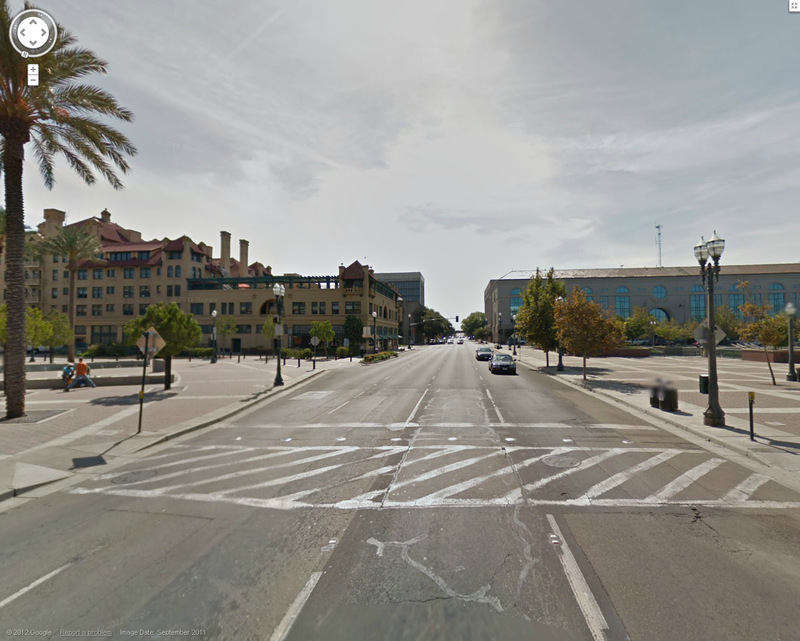 Driving in downtown Stockton can be quite confusing, with its array of one-way streets. If you miss your destination, it could take a few extra blocks before you can turn around. If there aren’t many cars, it’s easy to overlook one-way signs, leading to dangerous situations. It’s so intimidating that when I was preparing to take my drivers license test years ago, I was advised by several high school friends to take it at the Lodi DMV instead, because the Stockton DMV was downtown and included confusing routes along one-way streets. 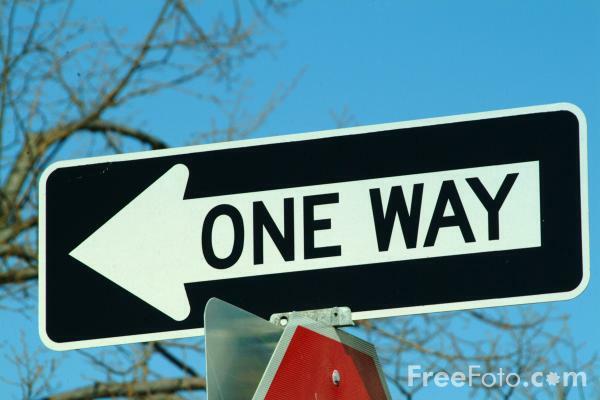 I will even fully admit that as an adult, I have driven down the wrong way on a one-way street (granted, only for about two seconds). Until recently, I thought confusion and frustration were the biggest problems resulting from one-ways, but as it turns out, downtown Stockton’s one-way streets are not just good at stymying teen drivers, they could also be hampering downtown’s comeback. I am currently reading a great book by Jeff Speck entitled “Walkable City: How Downtown Can Save America, One Step at a Time.” In the book, Speck lays out several reasons why downtowns are not successful, and one reason in particular stuck out: the presence of one-way streets. Speck argues that one-way streets severely hinder retail districts, but luckily, their removal can just as easily contribute to an area’s revitalization. Dozens of cities across the country have done just that: converted their decades old one-way thoroughfares back to their original two-way designs, with remarkably positive results. As downtown Stockton continues to push forward, a return to two-way streets could provide the extra vitality that downtown– and it’s businesses– needs to flourish. To understand why one-way streets are such a bad idea, it’s important to reflect on why they are there in the first place. Some 50 to 60 years ago, cities began converting several two-way streets into one-ways in order to help commuters get into and out of downtown as quickly as possible. The proliferation of highways made it easy to live in the suburbs and work downtown, and one-way streets made it easier to funnel cars from off ramps to their offices, and vice versa. This change proved to be a boon for commuters who could speed through downtown without any of the inconveniences of a normal street grid layout. However, this trend also had unintended consequences, namely the demise of downtown retail areas. One-ways harm downtown in several ways: First, as one-way streets are designed to get cars to their destination as fast as possible, increased automobile speeds create a more dangerous and uninviting environment for pedestrians. Second, one-way streets distribute traffic unevenly, negatively impacting surrounding commercial activity. Businesses along one-ways suffer from a lack of visibility as drivers can quickly speed by without even noticing that a business is there, or only drive by once a day, either on their way into work or on the way back home. Moreover, Speck suggests that the time saved by speeding down one-ways is likely offset by the additional time it takes confused and frustrated drivers–i.e. visitors who want to stop and spend some money– to arrive at their intended destinations. This is not a theory. Eliminating one-ways has been implemented and researched and has undoubtedly contributed to the resurgence of main streets and downtowns in medium sized cities nationwide. Speck uses the example of Savannah, Georgia, where the city’s East Broad Street commercial area seemed to disappear overnight after the city converted it to a one-way thoroughfare. Perplexed, the city commissioned research and found that almost two-thirds of the street’s active taxpaying addresses were lost in the years following the conversion. Not coincidentally, active addresses increased by 50% once the city returned East Broad Street to a two way street. In Charleston, South Carolina, quantitative analysis concluded that the frequency and quality of businesses on King Street– the city’s historic downtown retail center– increased significantly after the conversion to a two-way street was completed in 1994. Once you take a step back and think about how street patterns affect businesses, the destructive nature of one-way streets makes a lot of sense. For example, if I am unfortunate enough to own a breakfast restaurant located on a one-way street delivering people back to the highway after work, no one will drive by my restaurant until they leave to go home, long after their needs for breakfast have been met. It could very well be the case that the cineplex and Hotel Stockton could benefit greatly by turning El Dorado into a two-way street, simply by bringing cars– and shoppers/diners– in both directions. ← Could Stockton use eminent domain to stop foreclosures? One-way streets are also a major impediment to bicycle circulation! A bicyclist notices the extra distance needed to navigate a one-way system more than a motorist does. Plus it makes it much harder for a cyclist to turn left if they have to merge across three or four lanes of traffic. You are absolutely right: one-ways make biking more difficult and dangerous as cars generally drive faster on one-ways due to the lose of “friction” as the absence of cars coming in the opposite direction encourages drivers to increase speeds. One-ways also make it difficult to install bike lanes going in both directions, limiting where bikes can travel and further hindering visibility for businesses on those one-way streets. David, can you send this article to the city leaders? They certainly need to put this issue at the top of their list in seeking federal funds in DC, instead of pitching for the I-5 widening funds that will not garner the same effective results that two-way conversion of the one-way downtown streets will certainly accomplish. Indeed, one-way conversions had unintended consequences, i.e. speedily shuttling commuters STRAIGHT THROUGH town WITHOUT stopping to engage in what downtown had to offer. I must say in my analysis that is exactly what more widening of the I-5 will do. It will be a new and improved expressway causing more traffic to speedily PASS RIGHT BY Stockton WITHOUT stopping to engage in what Stockton has to offer. Is that what the city leaders really want?